At Madagascar, for the ethnic group Antambahoaka, twins are symbol of bad luck. Twins new bornt are abandonned or killed. 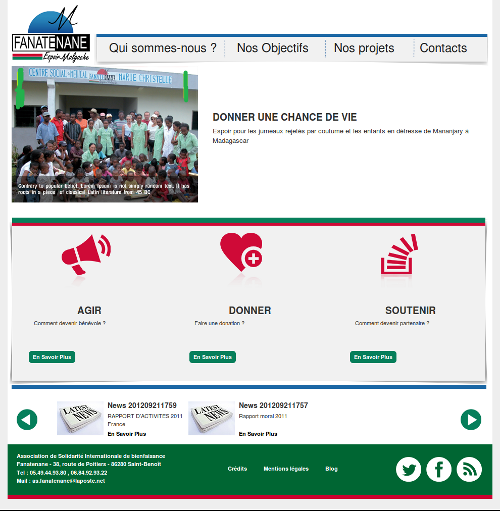 Fanatenane is a Charity trying to protect those twins. 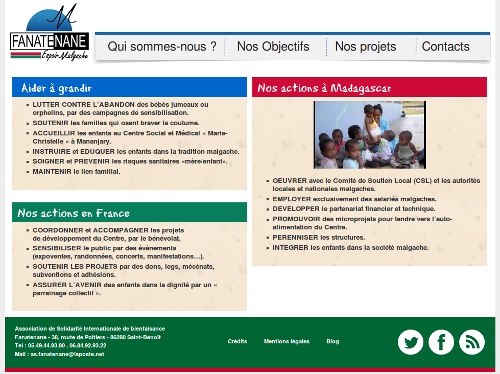 We made a new web design and developped a few functionalities for this Charity. We used pluXML, a PHP CMS without DB.